There’s a chance that the $250 textbook bill students were stuck with at the beginning of the semester could have been more. But, fortunately for Kwantlen students, it seems that cost plays a big role in which textbooks their instructors choose. “Things like low price and accessibility are important because they facilitate student access to the texts,” said Brian Pegg, anthropology instructor. English instructor, Deborah Blenkhorn, says that she looks for text books that are smaller and in soft cover but are equally as good as big, hard cover, textbooks because the smaller ones tend to be less expensive. “If a textbook is too expensive I may choose another,” she says. The trend in choosing textbooks is that price matters. To keep costs down instructors tend to create course packs, which compile important readings from several texts into one booklet. The booklets are sold in the bookstore and the costs are based on how much it costs to reprint the readings. Sam Migliore, Anthropology professor, says he tries to cut costs for students by using the same text every year so students are able to buy used copies. Other instructors try to cut costs for students by placing books on reserve in the library. This allows students to borrow a book specifically set aside for those in the class. The book usually has to stay in the library and can only be borrowed for a designated amount of time. By controlling the books on reserve, it means more students have access to the text. Amanda Boyd, a third-year student says that her teachers have mentioned that price is matters and the evidence is in the cost of her text books this semester, which says was reasonable. 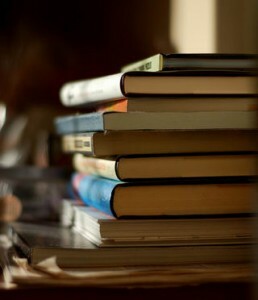 Readability also plays a role in textbook choice. Anja Gell, Nursing instructor, says that things like a table of contents, an overview and even headers for the chapters help students makes sense of what they’re reading. She says colour and examples that illustrate ideas also help students focus their reading. Alexandra Richmond, Applied Communication instructor, creative writing, says she looks for books that are well laid out, don’t have too much text and use lots of examples. But, sometimes keeping the cost down means giving up on the high-gloss, high-colour textbooks and opting for the simpler texts. David Ingre, applied communication instructor, said that he looks for low costs which means a lack of high-gloss, multi-colour printing and extra add-ons. To Boyd, a textbook’s readability is about the content and how interesting it is to begin with. She said she thinks a textbook is readable based on things such as sentence structure and the vocabulary used, not based on design. Some instructors say they also look for extras that come along with the textbook, such as CD-ROM’s, online features and end-of-chapter questions. The most important features to Boyd were cost an readability. She says Canadian content might be more relevant but it doesn’t really matter if the text is Canadian. She also says she’s never used a CD-ROM that’s come with a text or any other special features that weren’t assigned. The instructors interviewed said they had the freedom to choose whichever textbooks they see fit for their classes.Some said that department heads had to sign off on the books, as a sort of formality, while others said that their choices could be up for discussion among colleagues if it was deemed necessary.